Express #ThatWeekendFeeling with Somersby Cider! I've always been a fan of Somersby's apple cider, as well as their recent launch of pear cider. Today, they've just relaunched the blackberry variant due to popular demand, which is equally light and refreshing. So share the joy and join Somersby's #ThatWeekendFeeling campaign by having a bottle of Somersby anytime and anyday. Screw that Monday Blues, grab a bottle and drink up! 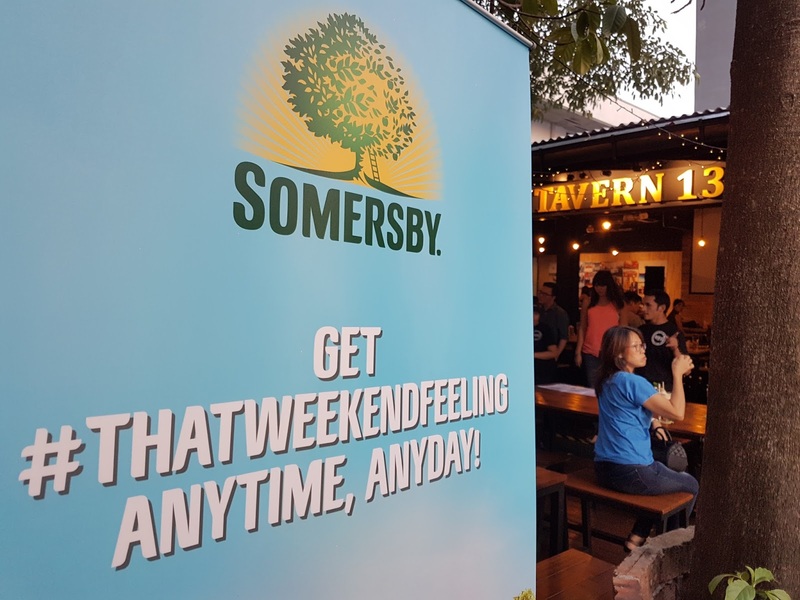 The idea behind Somersby's #ThatWeekendFeeling campaign is fairly simple, to encourage people to relax and take their time, while consuming on the best and fastest growing cider in Malaysia. You can enjoy your bottle of Somersby with an array of fresh cut fruits as well. Like this gentlemen over here, placing some strawberries and grapes into what is already refreshing enough, to make the experience a whole lot better! 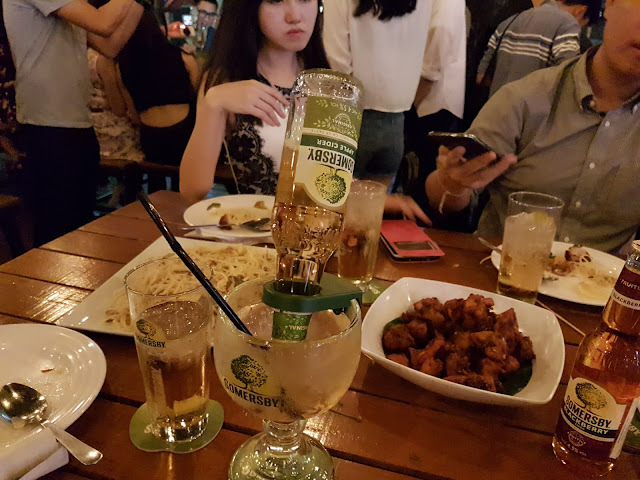 Or perhaps enjoy this monstrous creation of "Somerita", a drink that literally turns a Somersby bottle upside down and served alongside fresh fruits. It is indeed quite amazing as the drink will not overspill, and will only stay at a certain point in the cup. Crushed ice are used instead of larger cubes to ensure that each sip is as cold as it gets. Lovely! The point in time where everyone tried to win a home theater. Not only that, fans of Somersby can visit www.somersby.com.my/thatweekendfeeling, an interactive tool that allows fans to take fun photos, edit with fun filters and receive a GIF featuring their photos to share and spread #ThatWeekendFeeling to family and friends of social media. The top three posts with the highest likes will win a party worth RM1500 each in the month of August. The fun does not stop there! 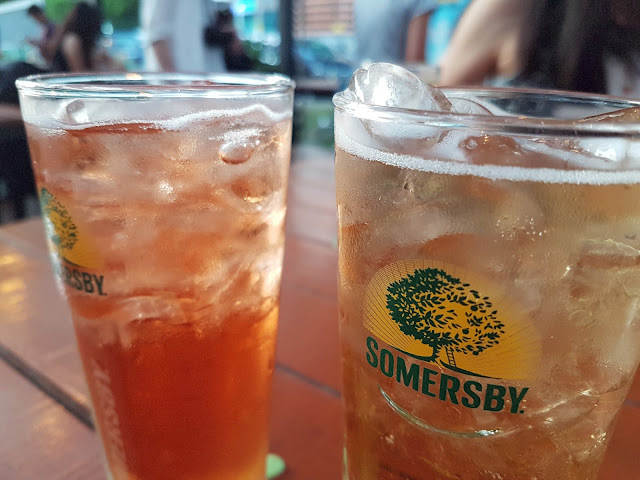 For top 30 posts with the highest likes, Somersby will also be extending an exclusive invitation to them and four of their buddies to attend a one-of-a-kind fun-filled barbeque and food truck get-together session in the month of September. To sum things up, both the blackberry and apple flavoured cider are definitely my favourite. Not only are they refreshing, they go really well with a number of mains and snacks too. The innovative way of enjoying a drink upside down truly was one of a kind, and one definitely worth going for. All Somersby ciders are to be made permanent in all major supermarket chains, and also, Somersby Apple Cider are available in 320ml can at 4.5% ABV. All the stamps are super cool. Kids will love it for sure. Loved how every designer made some new projects by using Java Time. All the projects are appreciable.